All copies are in use - 5 copies are available for full accounts. 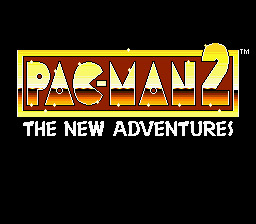 Play Pac-Man 2: The New Adventures Now! Pac-Man is brought back to life in this adventurous game. No longer are you only collecting dots, but you are actually on foot doing various tasks for you and your family. Still with the good old fashioned fun at the arcade, and the ghosts will be on the look-out for you from time to time, but with a whole new flavor. Sit back and enjoy Pac-Man renewed! Guide Pac-Man on various journeys by shooting pebbles with a slingshot at different items and using a call. If ever in trouble throw in a super dot so he can eat up those ghosts! Complete each task to win the game!